Houck McHenry was born in 1868 and lived in Jefferson City, Missouri. In 1900, he was one of the organizers of the Capitol City Telephone Company and served as a member of the board of directors. In 1912, he became secretary and in 1925, was elected president. At the time of his death in 1936, he was chairman of the board, president, treasurer and general manager. A very active member of the Missouri Telephone Association, He served as president for 32 years. He was he member of the USITA board of directors, 1923-1936. 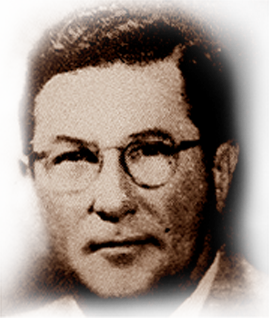 He organized ITPA in Missouri in 1920 and served as first vice president. McHenry was also very active in civic affairs. A members of the city council for two terms, he served two terms as president of the Commercial Club (Predecessor of the Chamber of Commerce), was elected to the school board in 1906, serving as vice president and president, 1912-1917. He remained on the school board for 15 years. He was a trustee of the First Baptist Church. From the time of his graduation from high school until the time of his death, the name Houck McHenry was written into every progressive step made by Jefferson City.